Being one of the lucky ones and getting to be picked as one of the forty who get to play The Sims 3 for a few hours was quite a privilege. 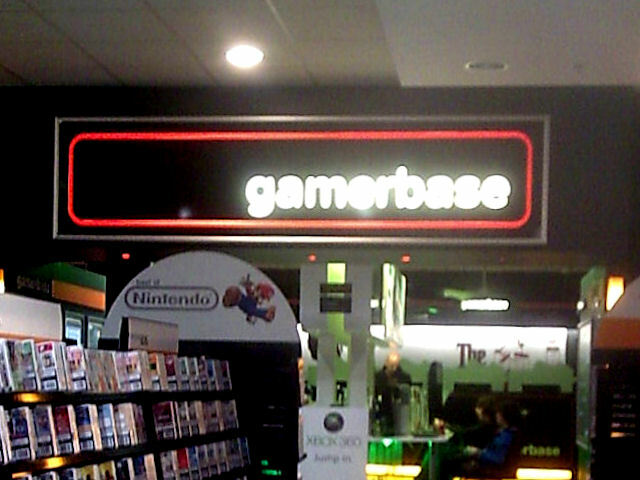 I was fortunate I was able to get invited to HMV Gamerbase in Manchester as it meant it was nearer to me from my humble abode near Durham than if I had to go to London. Nevertheless, it was 3Â½ hours of travelling there and the same time going back. However, the afternoon did not quite go as planned due to various complications with disk allocation, although Mike, who was the guy EA had put on site, did his best to sort things out with the resources he had. Not his fault. Nevertheless, there were a lot of upset people at both venues, quite a few of whom never got to play at all. While we waited for things to start late, I met some of the regular official forum users. In the picture is Xpurepoison06X who was sat on my left. She really isn't as bad as her name and during the few hours, she built a very nice house. 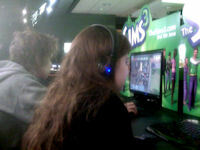 I had to share my time with another fellow sim addict as she didn't have a computer with TS3 installed on it. However, this did not turn out too badly. Salaynia, as she is known on the forum and I sadly did not get a picture of, was looking at things from a different perspective and also noticed a few things that I missed. I welcomed her insight and some of the observations in this review are down to her. Incidentally, on the EA UK forums, I am Simaritan. Less of the travelogue. My intentions for the day was setting out to find out whether the claims on the official website could be met. Although I did not get to do as much as I would have liked, I did find out quite a bit although we were asked not to take pictures of the game for some reason. So, from here on in, I'll use officially released ones to punctuate the text. Feel free to click on the thumbnails to see the bigger picture. This is one incredibly bold claim and with the aforementioned constraints, I was not properly able to put it to the test. I can imagine a great deal, actually, and I had a few people in mind who I would have liked to accurately render. Nevertheless, we had a few attempts with character creation. The new Create-A-Sim (CASi) is similar but superior to its TS2 predecessor, although I would have preferred to see it being closer to TS2's Bodyshop. Nevertheless, it is clear and you cannot be mistaken about what you are doing. You can create sims in six life stages. These are Toddler, Child, Teenager, Young Adult, Adult and Elder. The default age is Young Adult. 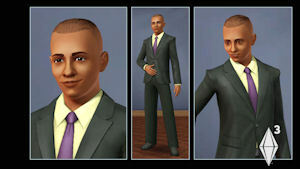 The skin seems less plastic than in TS2 and you are not constrained to one of four skin tones. I am pleased to note that there are sliders that allow you to tone the skin to being darker or lighter. As well as this, there are green and blue skin tones that allow you to create variant humanoids. Also, the starting body shape is different. By default, you are on average for weight and fitness and there are two sliding scales to change these. 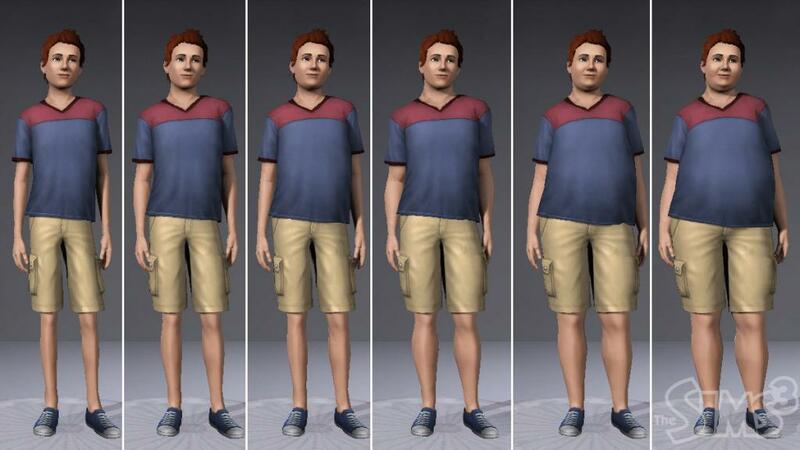 I am pleased to note that it is not just the torso that seems to change depending on the degree or fatness. 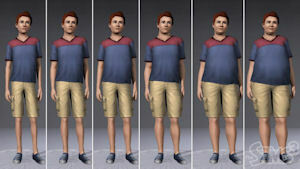 When a TS2 sim became fat, only the torso seemed to change. Now the whole body shows the effects and in this respect, it is a lot more realistic. Salaynia pointed out that the same also applies to the muscle tone, especially in young adults and older. There were not as many hairstyles as I would have liked. However, I have always been someone who likes a lot of choice in that regard. Despite this, though, hair can be tipped and layered in different colours and for the creative, this will be a big plus. Salaynia and I were only able to find the advanced mode just before our time came to an end. I would hazard a guess this advanced mode is what gives you the extra abilities to create more lifelike sims. So, my jury is out on this claim. I have a vivid imagination and I have a duty to various second-generation sims to see that they do not gather cybernetic dust so I am looking forward to giving it a serious workout when it arrives in just over 4 weeks. 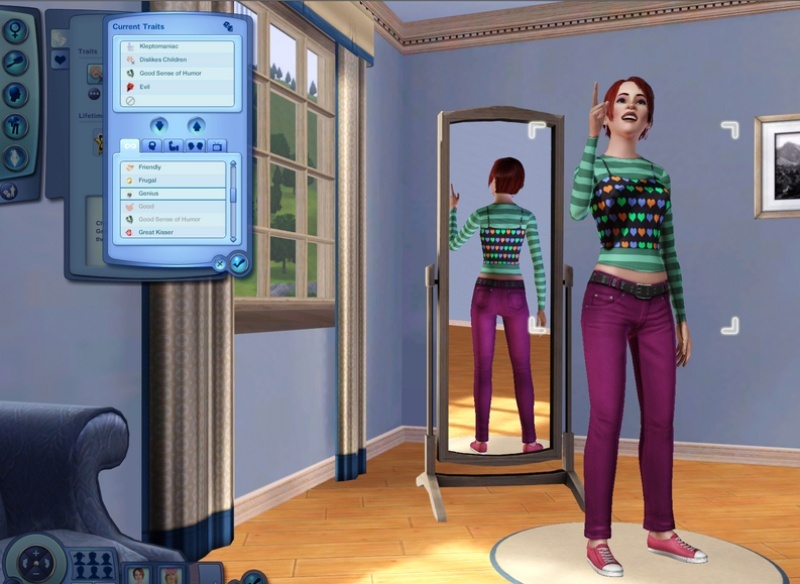 Previously in The Sims and The Sims 2, personality was decided by astrological signs rating our sims on activity, playfulness, neatness and so forth. 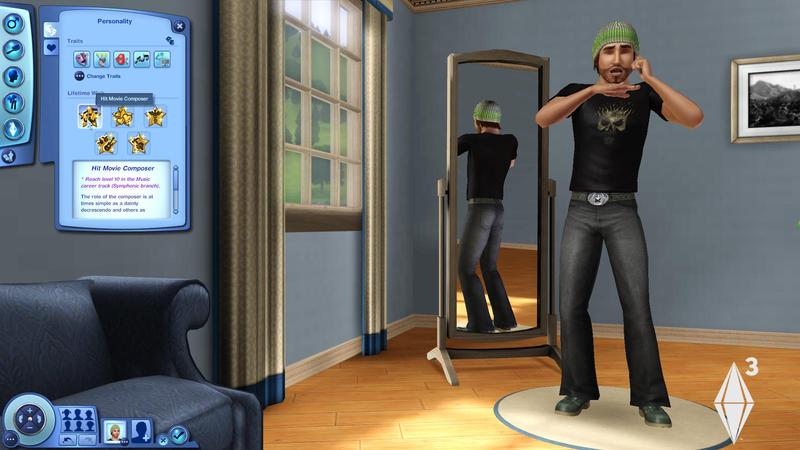 A sim with middle-of-the-range ratings effectively had no personality. 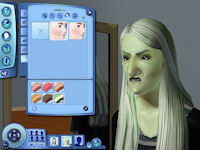 Not particularly realistic, but it has been the way of the sims ... until now. 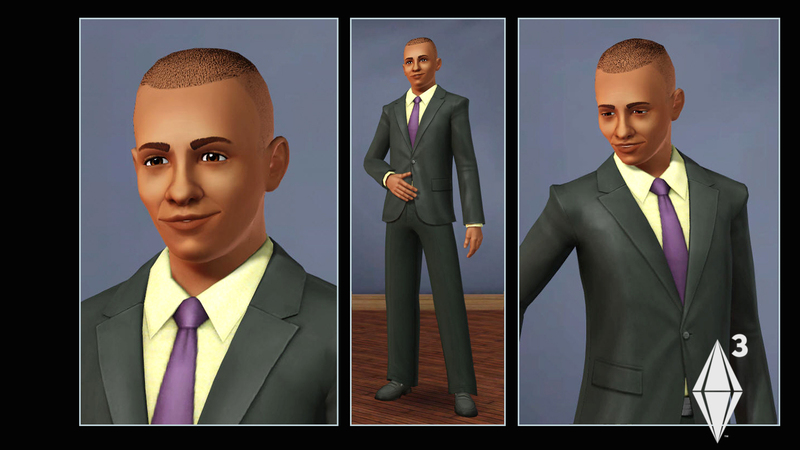 Adult (and Young Adult) sims have five personality traits that they can pick from a long list. Some are mutually exclusive in that if you pick one, you can't pick another one. For our first sim, who I called Holly, I chose as one of her traits "Can't Stand Art". Naturally, any trait that gave her a talent for art would not be available after that choice. She was also Ambitious, a Computer Whiz, a Virtuoso and a Natural Cook. Traits are filtered into different categories but can be viewed altogether. 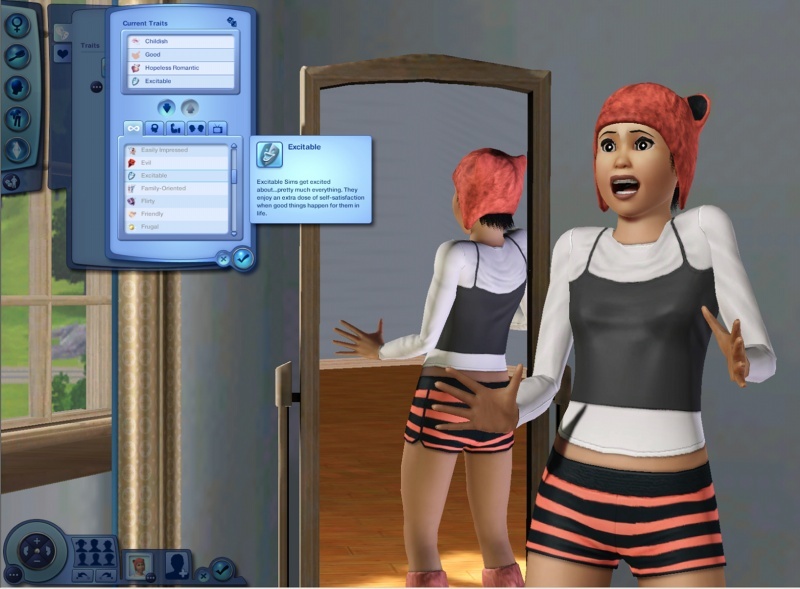 The personalities affect the interactions that your sims can have. I noticed a few of them but not really enough. Holly had a desire to go the movie theatre and wanted to talk against art to whoever she could. I suppose it makes a change from wanting talking about toasties. To name but a few of the other traits that can be selected are Evil, Flirty, Great Kisser, Green Fingers and Refuses to be Naked. There are many more and I look forward to telling you all about them. Yes, with a few million permutations, I think this claim is valid. From the five traits that are chosen come five choices of lifetime wish. These are not dissimilar to the lifetime goals from TS2, although you get a choice of goal instead of having one thrust on you that you might not want to follow. There is a choice of lifetime wishes related to each of your personality traits. Along the way, you get other minor wishes or setbacks that can be addressed or ignored. Some of them have a set time limit and it is up to you as to whether you try to attain them or not. Lifegoals are often career based and there are various workplaces around Sunset Valley. However, there might not be the type of jobs everyone was hoping for. Xpurepoison06X commented that there did not appear to be a career track for Show Business, which she was disappointed with. We were told that the career trees are different and have more branches as this official screenshot also indicates, referring to Level 10 of the symphonic branch of the music career. Written at 05:42 on Wednesday 6 May 2009 by Andy.